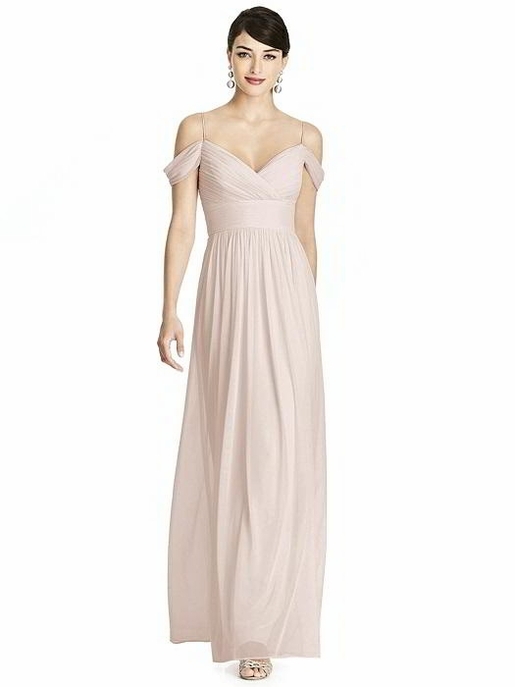 Alfred Sung style D743 - Full length Chiffon Knit dress with cross over pleated bodice and cold shoulder detail. Off the shoulder pleated sleeve. Shirred skirt. DELIVERY TIMES ARE ESTIMATES AND CAN VARY!